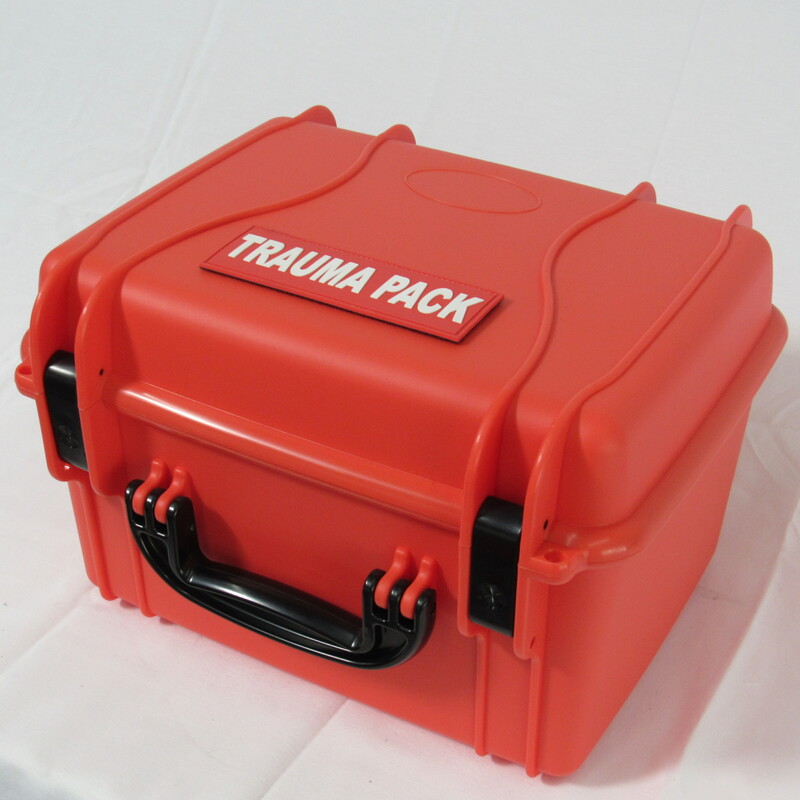 This is a complete advanced Field Trauma Box self contained in a waterproof,crushproof lightweight hardcase made rugged enough to last a lifetime. The case contains all the critical Trauma Items needed to treat multiple severe penetrating and life threatening injuries in preparation for advanced lifecare. It also includes a solr portable power supply capable of charging needed item in the field at anytime and is completely portable and can be removed and taken with you. This Multi-Functional Solar Charger Panel is a high-efficiency solar cell with an ultra slim power bank with a rechargeable lithium battery. The solar charger charges in direct sunlight in 2 to 3 hours or on your PC in 2 hours. The polycrystalline panels produce 1.76 watts per panel. The solar panel includes 1 USB and one discharging cable, six interchangeable connectors, a case with adjustable stand and hooks & loop straps for attaching to backpack.